Tidal streaming: Jay-Z to make £37m takeover bid | What Hi-Fi? 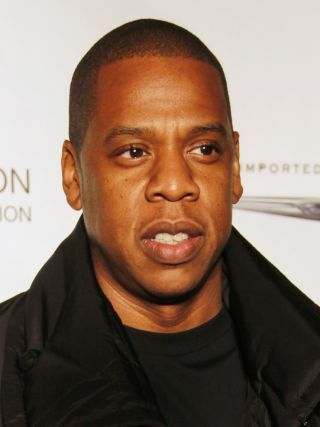 Jay-Z is the latest celebrity to stake a claim in the music streaming industry after Project Panther Bidco, a company owned by his own S. Carter Enterprises, has launched a $56m (£37m) takeover bid for Tidal's parent company Aspiro. In a statement issued on Yahoo Finance, Aspiro's board of directors has agreed to accept a takeover bid by Project Panther Bidco. Tidal's UK PR company says it can't comment further as Tidal is the subject of a takeover bid, but it has sent us a copy of the press release issued by Aspiro. It says: "Streaming Media AS, which holds approximately 75.9 per cent of the shares and votes in Aspiro, has through an agreement with Panther, subject only to Panther complying in all material respects with the takeover rules and good stock market practice in Sweden, irrevocably and unconditionally committed to accept the Offer." Aspiro is the parent company of WiMP and Tidal, and while it may not boast the same level of active users as other services such as Spotify, it's hugely popular in Nordic countries. According to the statement from Aspiro, the Scandinavian company is recommending that all shareholders accept the offer. This could be down to the fact the bid values Aspiro shares at nearly 60 per cent higher than the closing price on 29th January 2015. The closing price on that date was SEK0.66, the takeover bid would value them at SEK1.05. An acceptance period is set to start on February 19th and will finish on March 11th. According to an Aspiro report, as of May 2015, WiMP had 566,000 active users, 12,000 of which were paying subscribers. But it's highly likely that Jay-Z's celebrity status will increase these numbers. It's not the first time we've seen a high profile rapper become involved in the streaming industry, after Dr Dre sold his Beats brand, including Beats Music, to Apple for $3 billion in May 2014.